All lessons dependent on weather & surf conditions. 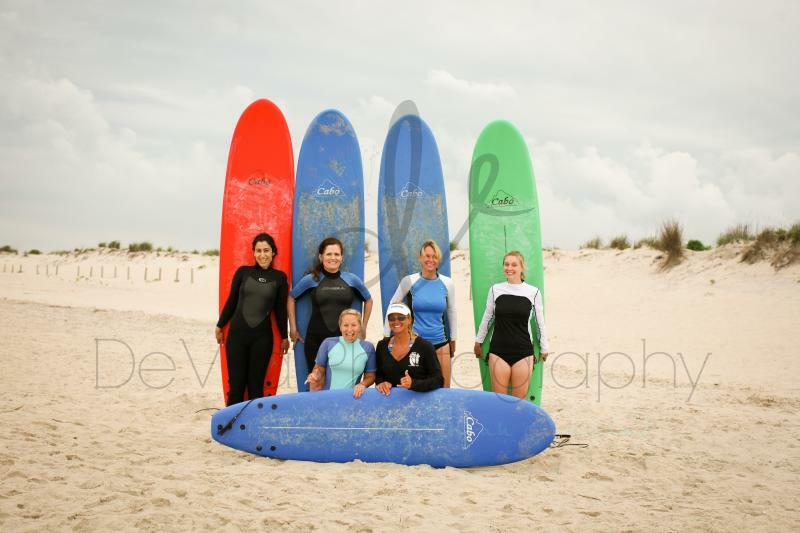 Michelle is the only surf instructor in the area with an agreement to offer surf lessons at Assateague State Park. 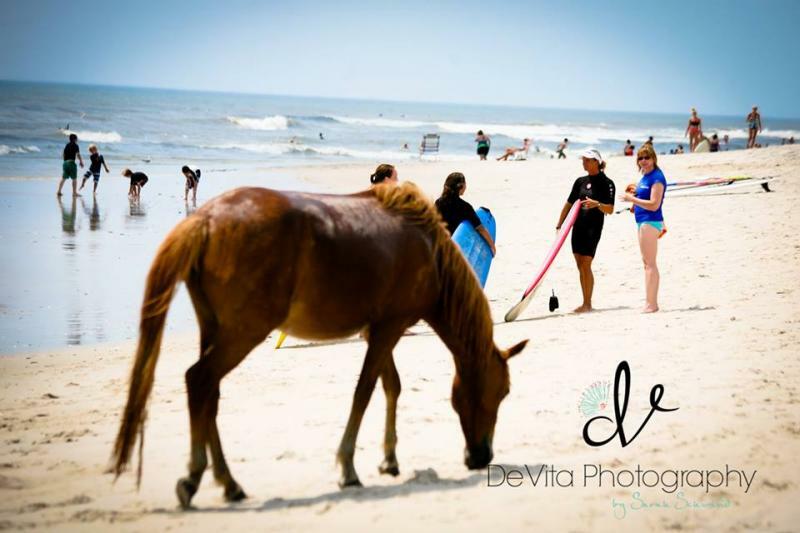 The waves at Assateague are perfect for beginners as they are safe and fun! 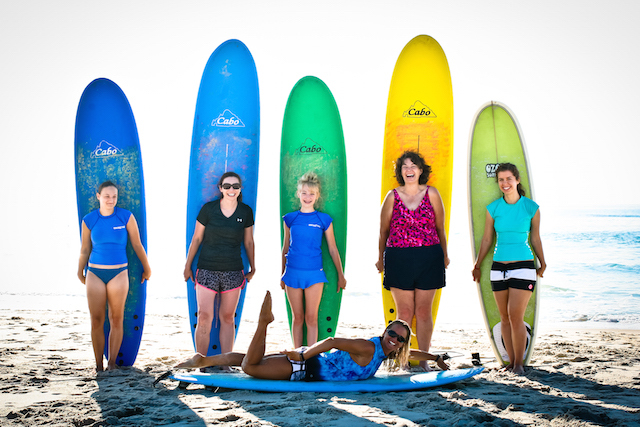 Watch this VIDEO to see how much fun you will have in a surf camp with Michelle! 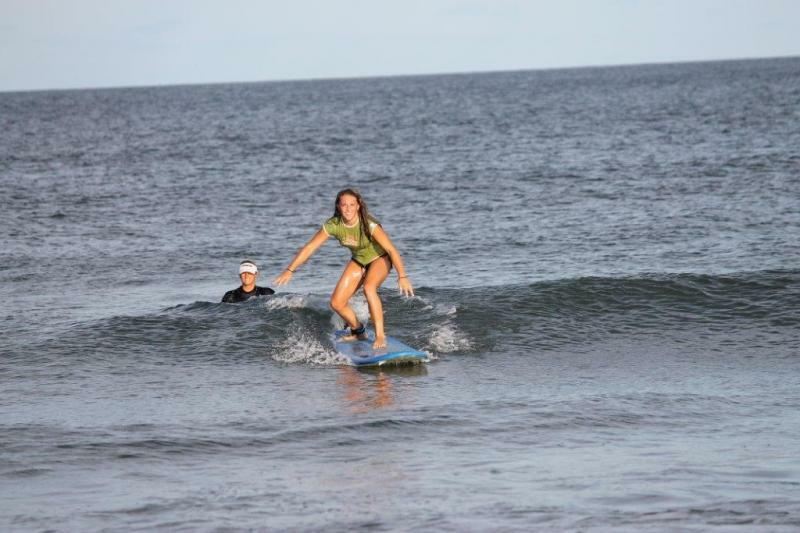 TWO-DAY WEEKEND CAMPS are 2 full hours of surf instruction each day and plenty of fun! 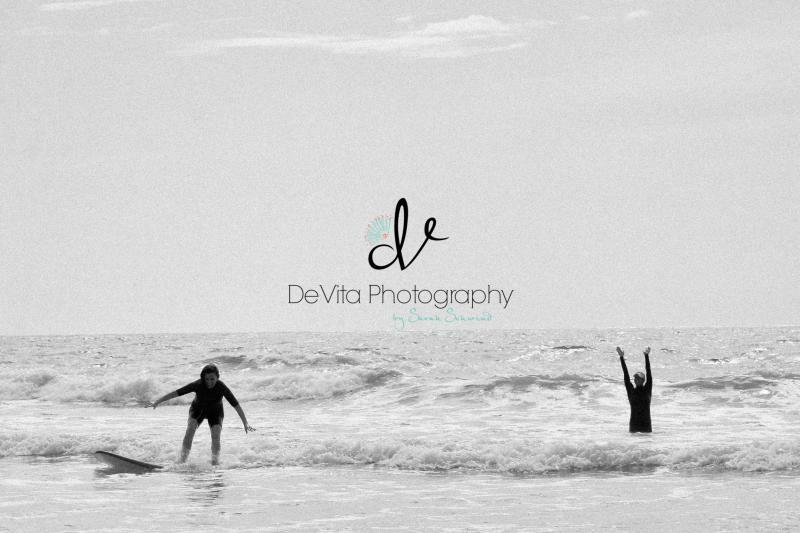 Photos may be taken so you can show everyone your surfing style! 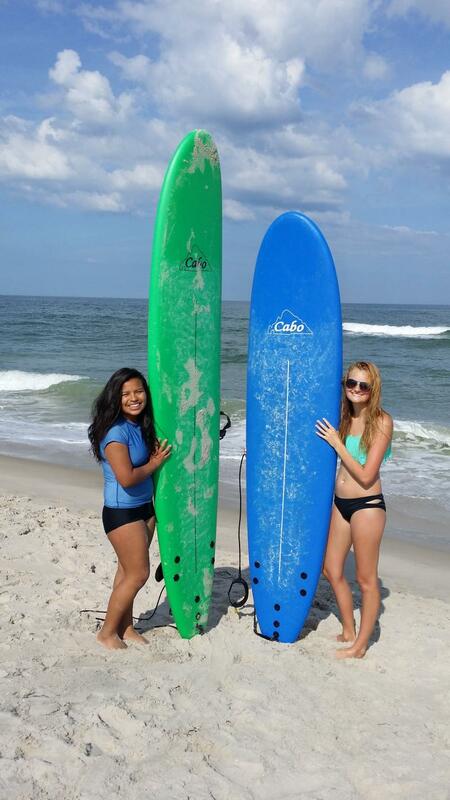 Cost is $195 per person and includes your surfboard to use and a Sommers Surf tshirt. Camps are always limited in size so participants receive personal instruction. ONE-DAY REFRESHER CLINICS are offered to those who have taken lessons and/or camps with me. These camps offer basic reminders to get you going for the summer season. These are for those who are comfortable paddling out past the waves to the line-up (not just standing in whitewater). Students are encouraged to bring their own board if they have one. If not, one will be provided for the lesson. Cost is $125 for the two-hour session. 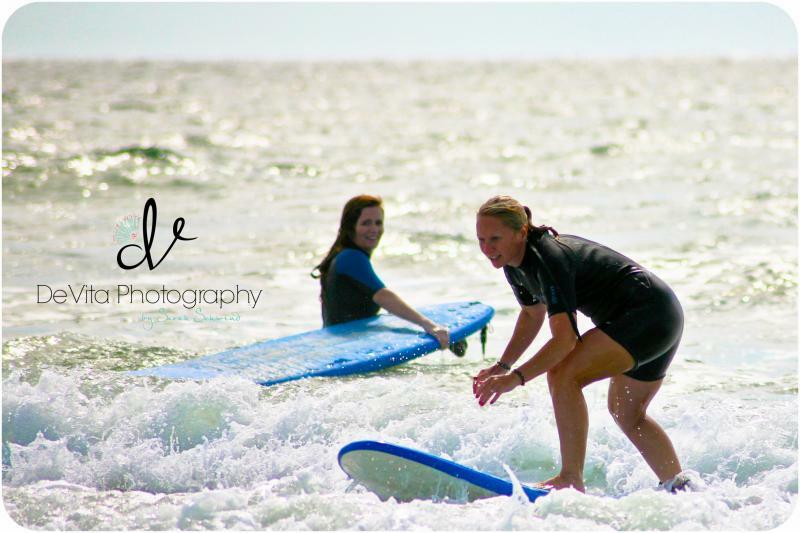 ADVANCED SURF CLINICS If you're surfing on your own and want to learn more, these clinics are for you. 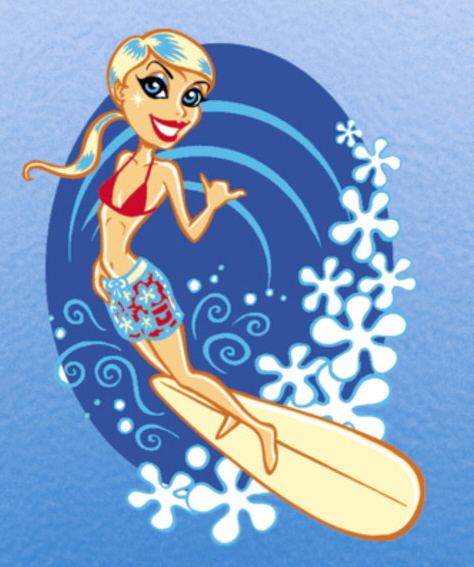 You will learn in-depth about tides, wind, waves, locations, paddling, catching waves, stance, speed, "going down the line," and other information to help you progress in your surfing. 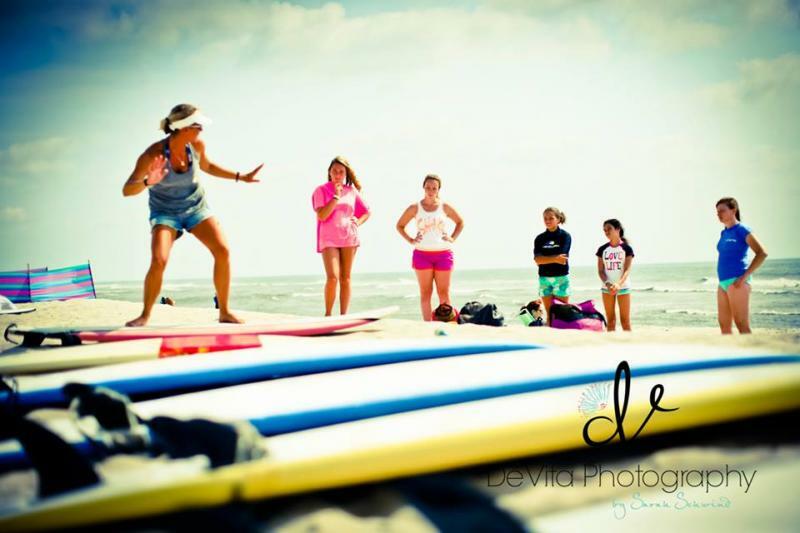 This clinic will include instruction on the beach, as well as in the water. Students are encouraged to bring their own board if they have one. If not, one will be provided for the lesson. Cost is $125 for the two-hour session.﻿ It is strongly recommended that participants have taken an introductory surf lesson with me prior to registering. This is open to both women and men. For an additional fee, you can have photos taken of your lesson. I know several area photographers who may be available. Pricing may vary and is determined by each photographer. Individual instruction is best but we can accomodate small groups. During peak season, private lessons are not guaranteed based on demand but lessons will be small in size. Contact Michelle for larger group rates. Perfect for birthdays, holidays, Mother's Day, graduation or just something special for a woman you know. I have various wetsuits and sizes available for lesson and camp participants. Cost is $10 to rent, and your size is not guaranteed. If I am unable to accomodate your size, K-Coast on 35th street in Ocean City, Maryland offers wetsuit rentals year-round.